You Read Creation: MUSLIMS WORSHIP THE KAABA? "We see the turning of thy face (for guidance) to the heavens: now shall We turn thee to a Qiblahthat shall please thee. Turn then thy face in the direction of the Sacred Mosque: wherever ye are, turn your faces in that direction." For instance, if Muslims want to offer Salaah (Prayer), it is possible that some may wish to face north, while some may wish to face south. In order to unite Muslims in their worship of the One True God, Muslims, wherever they may be, are asked to face in only one direction i.e. towards theKaaba. If some Muslims live towards the west of the Kaaba they face the east. Similarly if they live towards the east of the Kaaba they face the west. The Muslims were the first people to draw the map of the world. They drew the map with the south facing upwards and north downwards. 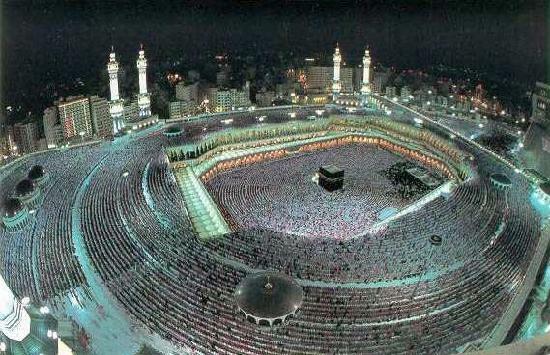 The Kaaba was at the centre. Later, western cartographers drew the map upside down with the north facing upwards and south downwards. Yet, Alhamdullilahthe Kaaba is at the centre of the world map.